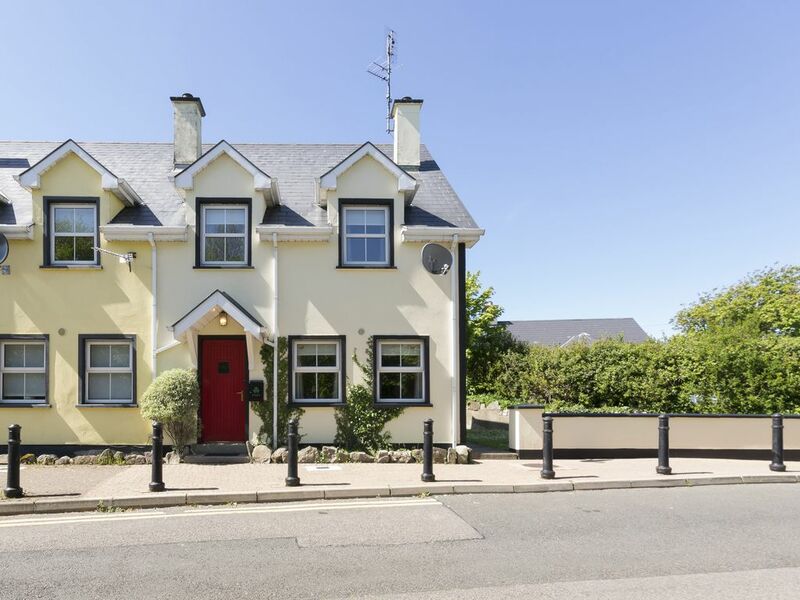 This delightful end terraced holiday home is located in the quiet village of Tullaghan, bordering Leitrim and Donegal and 1.5 miles from Bundoran Seaside resort - home to an indoor wave swimming pool, 18 hole golf course, sandy beach, cinema and a variety of pubs and restaurants, surf school and Drowse River. Abandon the car and enjoy the ocean coast walking route into town, or just relax in this very comfortable home that is ideal for families, with its lawned garden to the side and rear. The beaches are popular for surfing and beach horse riding. There are lots of attractions with Sligo town only 20 miles and Donegal town 10 miles away.Shop 352 yards. Pub 176 yards. Restaurant 440 yards. Beach 1.5 miles. GF: lounge, kitchen/diner, w.c. FF: 3 doubles 1 with ensuite shower room, single, bathroom with shower over bath.First EUR20 of oil and electricity included in the rates. Will be meter read after this., open fire with starter pack, linen and towels included, No Smoking, travel cot, high chair, TV, dvd player, CD, fridge/freezer, microwave, w/machine, dryer, partially enclosed garden, on street parking. Pets welcome.